Hello again! As an author and an illustrator, I really enjoy studying how different illustrators work – what makes what they do, or how they tell a story, great. 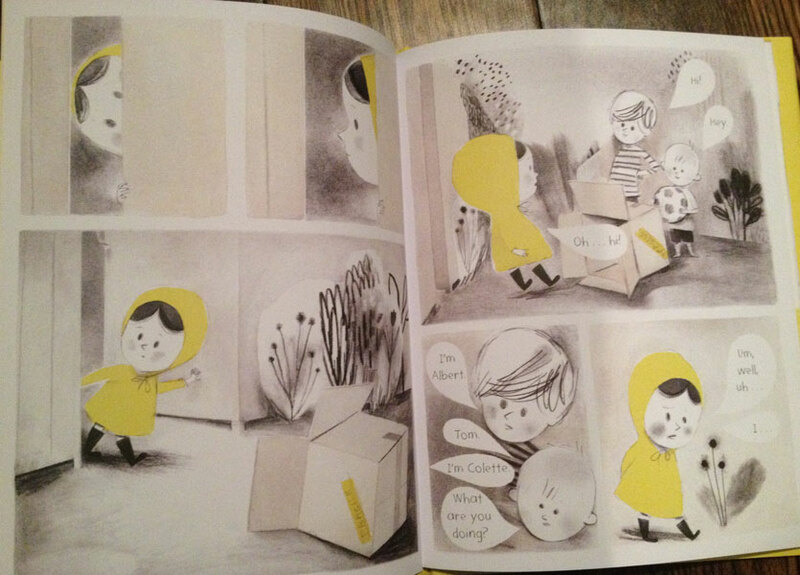 Isabelle Arsenault is an award winning author/illustrator who’s work is immediately recognizable as hers. It’s very different from my own, and I’m completely captivated by it. Her characters, layouts, designs, mixed media, are all beautiful, but I truly admire her use of color in books she illustrates, or in a way, lack of color. Colette’s Lost Pet is Isabelle’s latest book, and right from the start, this (surprisingly tiny) book, caught my eye. 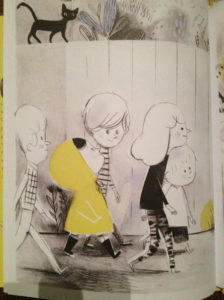 That bright yellow cover and scene of all those kids drew me right in. There’s almost no other color on the cover (or the rest of the book), except for a very soft blue and some sepia/B&W tones. But that’s all Isabelle needed to draw our focus as a reader right to where it needs to be. Look at this cover again. The only child who has color is “Colette”, the story’s main character. My eyes can’t help but be drawn to her, as that yellow, the same as the entire cover, almost encases her in that hooded coat. Then that soft subtle blue (Colette’s lost pet) is where my eyes end up. Most of us would at that point guess, with confidence, who Colette is and who her lost pet is. 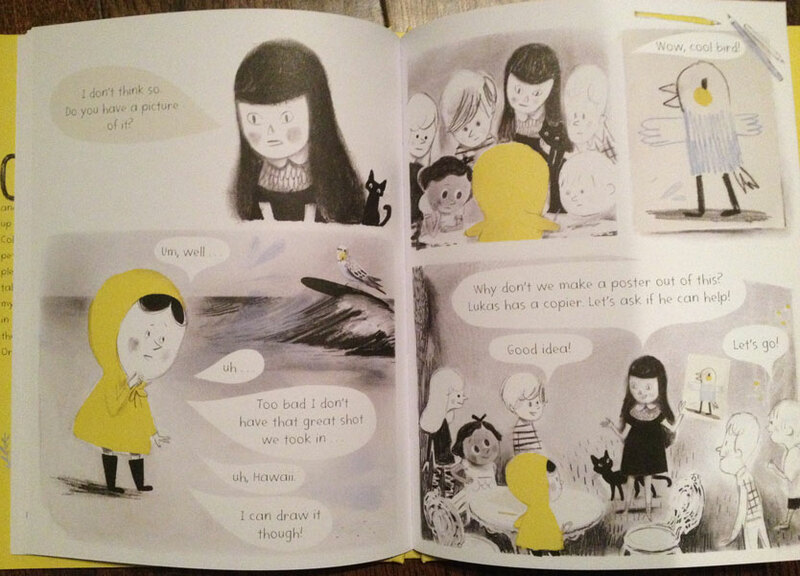 Then we open this story and discover more of Isabelle’s power of color use in this book. Colette and her yellow coat are a sun beam on each spread, and again, while there are hints of yellow (and soft blues) elsewhere, we’re never losing sight of Colette. She’s my first point of eye contact in every crowd she’s in and then once I notice that, I’m drawn to the details that are helping tell the story around her. Isabelle is also great at making sure where not to include Colette in certain panels of this story so we’re not distracted by that yellow. We’re able to see the other characters reactions to what’s going on with focused attention, before moving back to Colette. Also, without colors of their own, it feels as though we’re subconsciously understanding that these characters are all secondary to Colette. Even when Colette’s lost pet starts to show up more and more often (in those soft blues), it’s still a back seat to Colette herself on each page. This is also fitting to the book itself, as this “pet” is Colette’s own story. 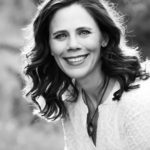 And it’s her growing story, that has us turning the pages, but we’re realizing that as much as this appears to be about her lost pet, it’s really about Colette. 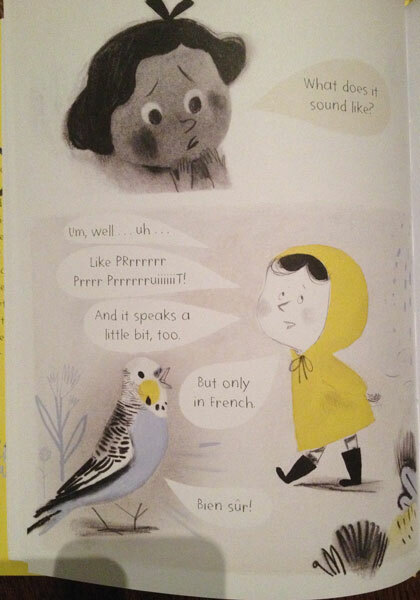 I really enjoyed this book for a number of reasons, and could have easily made this post about a number of brilliant things, Isabelle Arsenault does in Colette’s Lost Pet, but for now I’ll leave you with this. 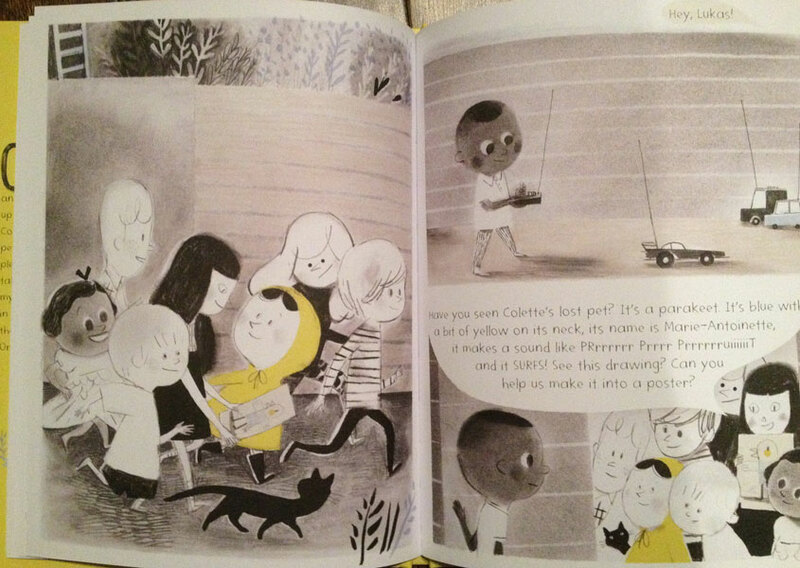 Next time you read a book, look for things like this that the illustrator has done to subtly amplify your reading experience – and my personal challenge in this: to see if I can use color itself in my work to help tell the book’s story! 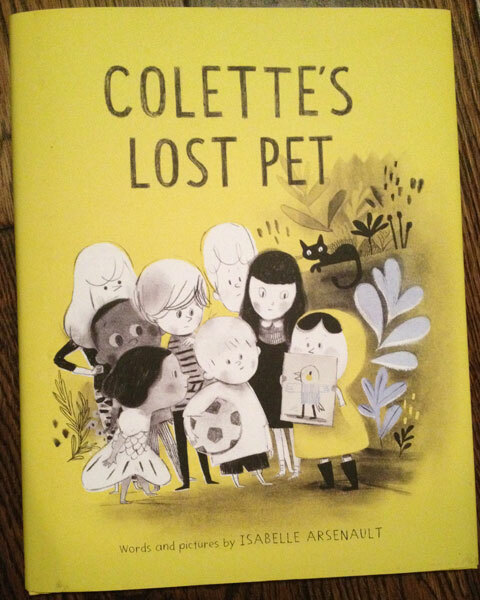 Colette's lost pet, Isabelle Arsenault. Bookmark. TY for sharing this book.I am enamored with it, too. Must get from library STAT. You’re welcome, Kathy! I too have a STAT list of books to read! This really makes me think, Mike, about the talent of you illustrators. I’m betting I often miss these subtle clues. But this book looks like a great one to study and remind me to look more closely! Thanks! 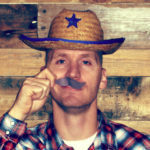 It’s always so interesting to hear an illustrator’s perspective. I’ve had this book on hold at the library, and will think of your post when I finally get a chance to read it. Thanks, Mike! I sometimes study PB illustrations which are sparse in color more intently than those that are abundant in color. Now I understand why. Thanks, Mike! Some cute, subtle humor in this book, too! I love the bird surfing. And how it only speaks French. Yes! It is quite funny. 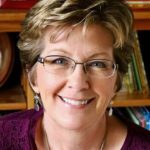 Loved learning about this new PB from an illustrator’s perspective. I can’t wait to find it now! Thanks, Patricia. I hope you enjoy it as much as I did. Can’t wait to get my hands on this one. Thanks for sharing, Mike!